The need for support in Palestine is greater than ever. 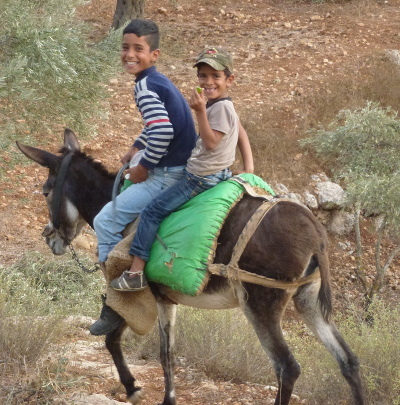 Life under occupation is an ongoing struggle, however the Palestinian spirit is indomitable. 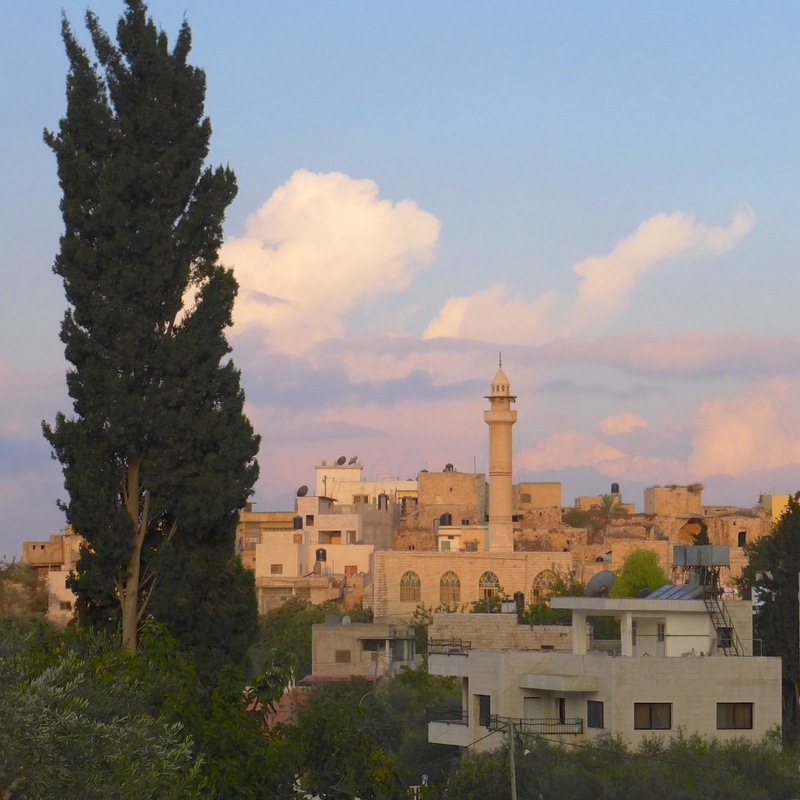 Our 2018 harvest visit was bitter-sweet, as we learned that our long-standing friend, headmaster Ayed Al-Qot, had been moved from Madama to a village school in Urif, behind the hill crowned by Yitzhar. In a moving talk he described to us the appalling pressure the school is under due to weekly attacks by Yitzhar settlers, tear gas from the army, widespread PTSD among the pupils and disrupted classes. 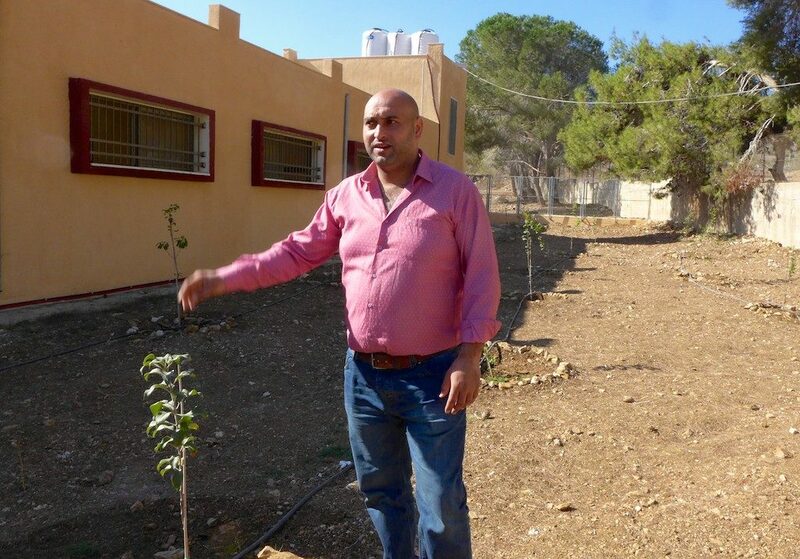 We hope to support Ayed and the neglected Urif school in the near future. Burin Community School really surprised us on our October 2018 visit – they’ve started a school farm! To oversee this ambitious project, a new agricultural stream has been set up led by a full-time agricultural engineer. It started as a response to the theft by Yitzhar settlers of 40 acres of school land last summer. The school is lucky enough to own 220 acres, which they intend to keep, and the farm is a way of safeguarding it. Growing fruit and vegetables is also an excellent therapy, and keeps the pupils occupied outdoors. 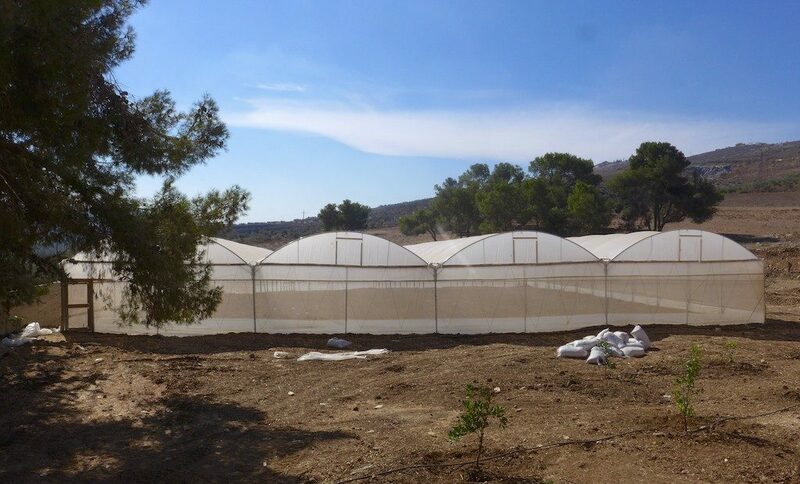 Feras Hassan, one of the English teachers, gave us a guided tour of the existing project, showing off huge, irrigated polytunnels (financed with help from the Mayor of Nablus and village families) as well as an orchard of apple, cherry and citrus saplings. Their next target is to have cows and goats – with a cow-shed ready and waiting! One for OHT? This school is relatively well off but we hope to fund a new keyboard and stand for them as their musical abilities are strong and need encouragement. 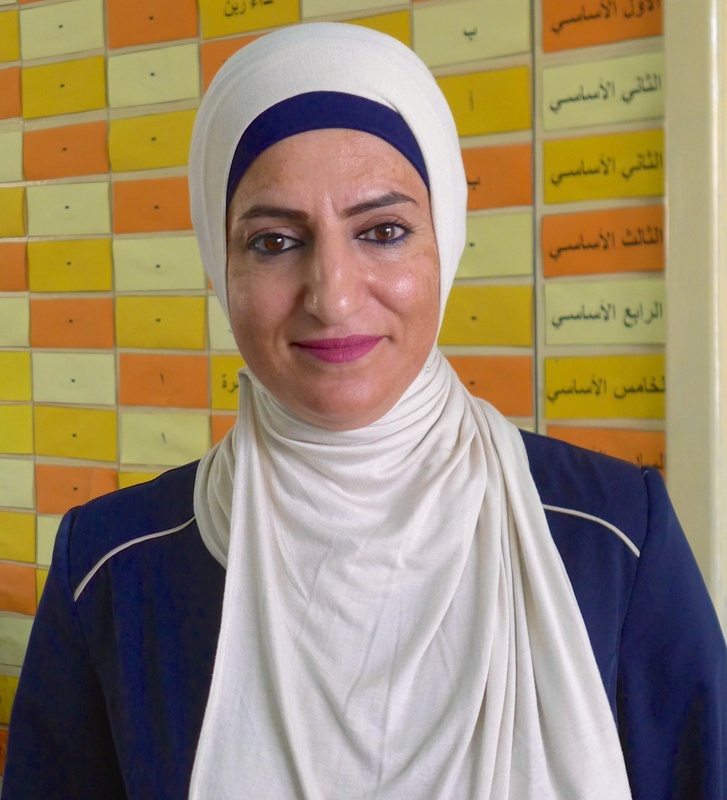 During the 2017 harvest, we were delighted to meet the new headmistress of Madama Girls’ School, the dynamic Nawal Mahmoud Rabaya in charge of 375 students (including 24 in the kindergarten) and 22 teachers. 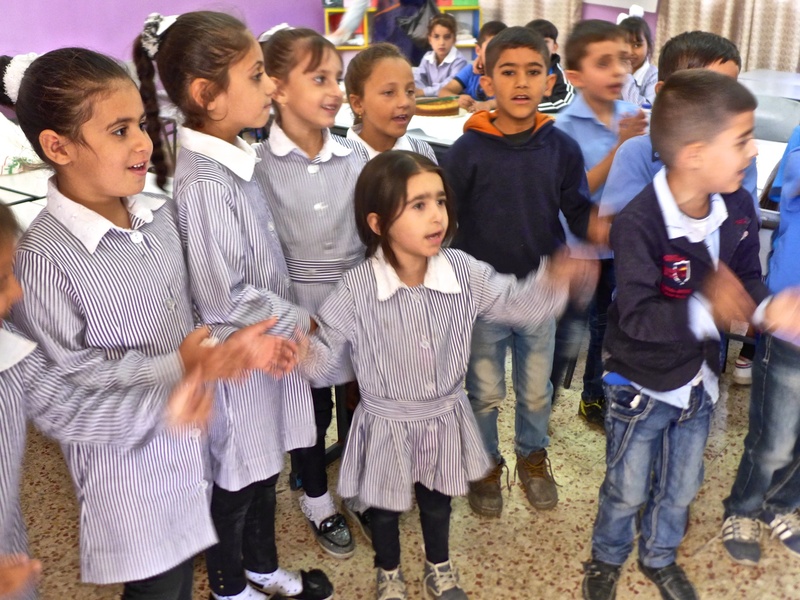 Although grades and averages are high, their drawback is the lack of a science stream and of course the pitiful budget from the Palestinian Authority. Despite that, the school looked impressive, partly thanks to Nawal’s existing connections with World Vision and Norway Council. Trustees discussed her school’s needs and, before leaving the region, agreed to contribute towards the item at the top of her ‘wish-list’, namely a dozen CD/tape-recorders for lessons. The next item may be a large metal podium to be erected in the playground for speeches, performances and general assemblys. Start saving? 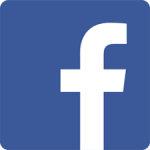 (2018 Update see Completed projects – the funds have now been donated). While we visited classrooms, some younger children happily stood up and sang for us. The spirit and smiles of these children, despite the stress and limitations of their lives, are extraordinary. On October 6th 2016 we visited Ayed Al-Qot at the Madama Boys’ School. Since our last visit the school has been redecorated by the Palestinian Authority, a great improvement on the sad old building. We were shown the impressive new science laboratory which we had contributed to, now with granite worktops donated by the South African government. Our visit was very positive much thanks to Ayed’s pride in these improvements. It felt like our input, encouragement and donations made a huge difference. In October, trustees visited Burin Community School to meet Abu Ameer, the Headmaster. The huge playground is soon to gain a basketball court with the area behind destined for a football pitch and a new canteen being built by the entrance. Abu Ameer noted that Burin was now ‘on the map’ in terms of aid (hopefully we have had some influence here), and Burin Village Council has pitched in to collaborate with other agencies. He also showed us with pride the 15 new computers that had been bought with money donated by Burinites living in the USA. The energy and initiative that he shows in sourcing donations is impressive. We have funded the now completed awning beside the playground (see Completed Projects). Our fixer, Abdel Karim Dalbah, dealt with the receipt of funds in the Village Council bank account and payments for the awning. He is given a fee by the trust for overseeing our input. 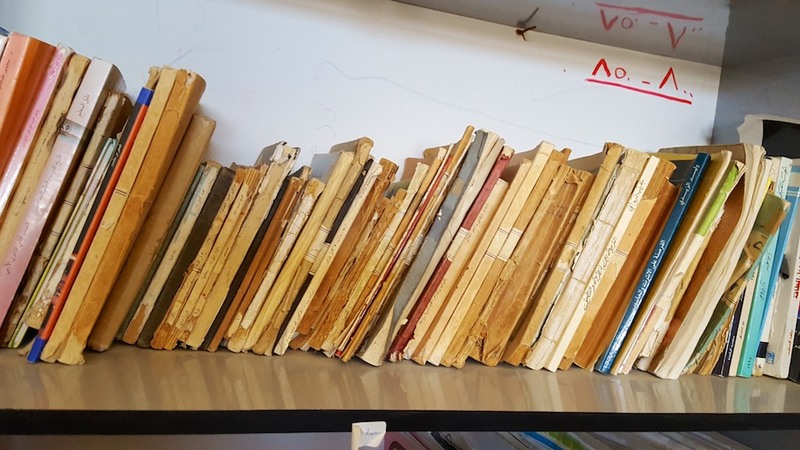 A new project – English language books When we attended the English language class, the English teacher, Munir Shehadeh, lamented their shortage of English literature books; the library (below) looked decidedly shabby. The main hurdle is how to get quality books out to the West Bank. (October 2017 update: see Completed Projects for news on successfully delivered books). Copyright © 2019 Olive Harvest Trust. Powered by WordPress. Theme: Esteem by ThemeGrill.